Now that's one damn FINE cover! Love a man in a kilt! Yum! Have any of yall read Monica McCarty? She's a newly added one to my TBR pile and I'm definitely looking forward to meeting her men. They sound luscious! Today we've got a great excerpt from Monica's next release, The Recruit, that hits shelves October 30th! There's a fab giveaway, a print copy of the Recruit, down at the bottom for one US follower too! Thanks to Romance at Random for the fab giveaway! I love Monica Mccarty's books. Definitely one of my favorite historical romance authors. I don't know if I prefer it or not. It's become such a habit to leave my email that I find myself doing it without realizing. I have not read her books yet. Yummy cover! I love these kind of books! I am drawn to good looking men with accents. LOL. Thanks for the giveaway. Me too Sue. Me too :) It's a pretty good combo! Good luck! Finally this book is coming out - I read the first five books in the series & loved them. In fact I've gone back to her first books and am almost done with the MacLeods of Sky trilogy. Fingers & toes crossed for this one! 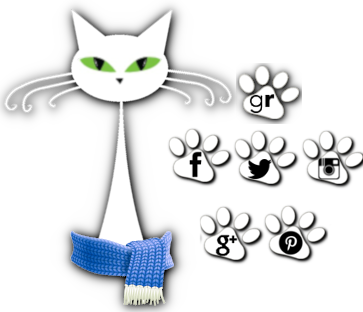 I'm ok with leaving my email in the comments (as some bloggers call it Ninja style) so whichever is easier for the blogger. Tho some ask for the email to be left in a box in the rafflecopter entry. Oh what a good recommendation! I've got a copy of book 1, the Chief, now :) Looking forward to it! The MacLeods trilogy sounds really good too! I am not all caught up on this series. I think I am on book 3. I dont just go straight thru. Anyway, I have them all, I think. And they are hotcha hotcha covers. And of course, marvelous stories. Mmmhmm. The covers really all are nice! I just got a chance to look them all up and whew they're pretty good. Found a copy of the Viper when I was out today. LOVING that one. Aw I'm sorry to hear you had trouble with the rafflecopter. Good to know though that it's doing something strange like that. It's really not supposed to. The rafflecopter should stay put once it's there. I've had the comment thing go wonky before too. I've got no clue why. Every once in a while it won't let me reply to someone's comment like I am yours. The button will be there but it won't click open. Technology does a number on my some days! Thanks for your input on it! I love the Highland Guard series! Looking forward to The Recruit! Either is preferable to me but if I had to choose, I would say e-mail in the comments. Like someone said above, it's like second nature to leave one. Good to know, Leah. I might see if I can find a combo of the two so people who aren't comfortable with it have another option. Thanks for your input. I really appreciate yall's help! Love this series. Can't wait to read this installment. I have become pretty selective in what books i keep on my shelf. This series is not the keep list. Thanks for the update and the chance to win. No problem Kim. I'm so glad to hear so many of yall enjoy the series. Makes me want to move it up my tbr list! Monica McCarty's books are my favorite highlander books. I love this series. It's full of action, great dialogue, suspense and romance. Thanks for offering the giveaway. I can not wait to read this book. I am a complete fan of Monica McCarty's Highlanders. I have them all except this one :) She writes great characters, with action and suspense and romance. She also adds a lot of historical facts in the books that I love. I can't believe I've not read her sooner. I LOVE highlanders and yall are making me a little jealous I haven't met hers yet ;) lol Hope you enjoy it! I love Monica McCarty!! I especially love Highlander books!!! Yum. Anyway, I don't mind if giveaway is done with rafflecopter of comments. 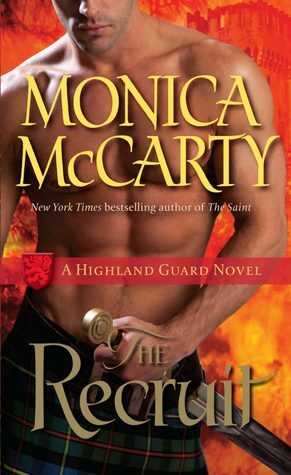 Love Monica's Highland Guard series and looking forward to the release of "The Recruit." That cover is really something to look at, actually I am pretty sure I was just staring for a while. My only issue with rafflecopter is that when I originally signed into it I used my business email not really realizing what I was doing. Usually when I leave my email in the comments I leave a separate one that doesn't go to my phone and that I don't check during work hours because otherwise I will get distracted. I also use that email for blog subscriptions, etc. I guess I like the separation. I always feel bad though because I feel that it gets confusing for anyone who is not me (or if one of the entries is 'follow by email' and it doesn't leave a place to say what email you used - there is no way to show that I do follow, but just not with that particular email). Hmm. I wonder if there's a way to change that Alicia. That would be confusing. I tried logging in to change mine but it's linked to the blog so I'm not sure if it's the same for non-bloggers that don't use their services or not. I love this series! This history and romance really work so well together. Loving that cover as well! It's good isn't it? Caught my eye for sure :) Hope you enjoy the new release!